Core De Vie means Heart Of Life! What’s your Heart Of Life? Ellen Comerford started Core De Vie, home of GYROTONIC Boston Beacon Hill, with her husband and partner, Mark Comerford in 2006. 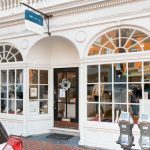 Core De Vie is Boston’s most unique lifestyle and boutique wellness center dedicated to achieving healthy lifestyle goals. Situated on Charles Street in the heart of Beacon Hill, Core De Vie strives to empower the community, both clients and employees alike, to reach beyond their own perceived limitations. To that end, the professionals at Core De Vie are constantly working to create and cultivate new approaches to fitness, employing innovative movement patterns that combine strength, flexibility, and cardiovascular exercise. Core De Vie also carries an extensive line of supplemental products, Correct Toes, Yamuna Products, our own natural skincare line and more to the latest instructional DVD’s, in order to present you with a complete and satisfying experience. By combining Pilates, yoga, Gyrotonic, Vibration Training, Postural and Movement Analysis, Strength and Flexibility Training, massage, and holistic health counseling, Core De Vie can help you realize your fullest potential in all aspects of life, and in turn contribute to the betterment of our neighborhood. “In 2009, a staph infection from a cortisone shot landed me in the hospital for over 100 days. During this hospital stay, my leg muscles atrophied, and after my release, walking was very difficult. Through a variety of excellent practitioners in New York and Florida, I actually got back 70% of my pre-hospital mobility. I had worked with Ellen Comerford, the Founder of Core De Vie, in Boston from 2003 to 2008. Fortunately, I found her again this summer in Nantucket. “Steve is the best. I wish I could give him a thousand thank you’s! My life is better every time I see Steve! !